It’s a rather bold statement, isn’t it?! The best? C’mon, really? Well alright, you might walk away thinking of it as good advice or ok advice, but to me it’s some of the BEST advice I’ve ever received. Let it be known that this homemaking advice isn’t just for wives or moms. This is for anyone who lives anywhere. This is for the dorm, the apartment, the locker, the house….you name it! This is advice beneficial to all of us. Are you ready? Do tonight what will make your tomorrow morning better. I heard this advice while I was at work and just months before I got married. It wasn’t a bridal shower, it wasn’t well-meaning advice given to the wife-to-be….it was just casually thrown out there. Do tonight what will make your tomorrow morning better. And it’s so easy, guys. Keeping a home isn’t rocket science. There isn’t just one right way to do it. 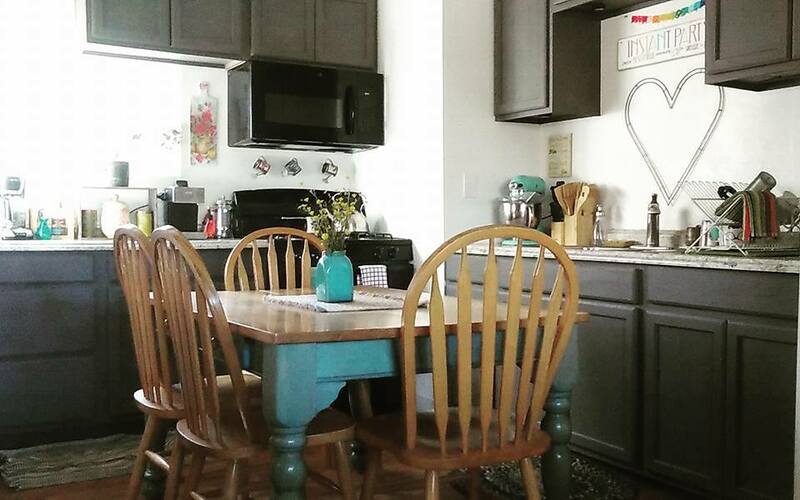 Sure, you can read all sorts of blogs, books of advice, and scour Pinterest for tips…but at the end of the day it’s the place you live and you have to choose what helps make it homey, inviting, and safe. I chose that this advice would become part of my nightly routine. Before I go to bed, I look around our kitchen/living room. What will make tomorrow morning easier, brighter, and better? Are there dishes in the sink? A clean kitchen makes me happy, so I’ll do the dishes tonight. A put together living room looks cozy and inviting, I’ll put the throw pillows back in place and pick up any scattered stuff lying around. Is the coffee maker still full of leftover coffee? I’ll clean that up. Are the water bottles full of water & placed in the fridge? No? Alright, I’ll get that taken care of. All of this takes 5 minutes or less, and it makes for bright, stress-free mornings. 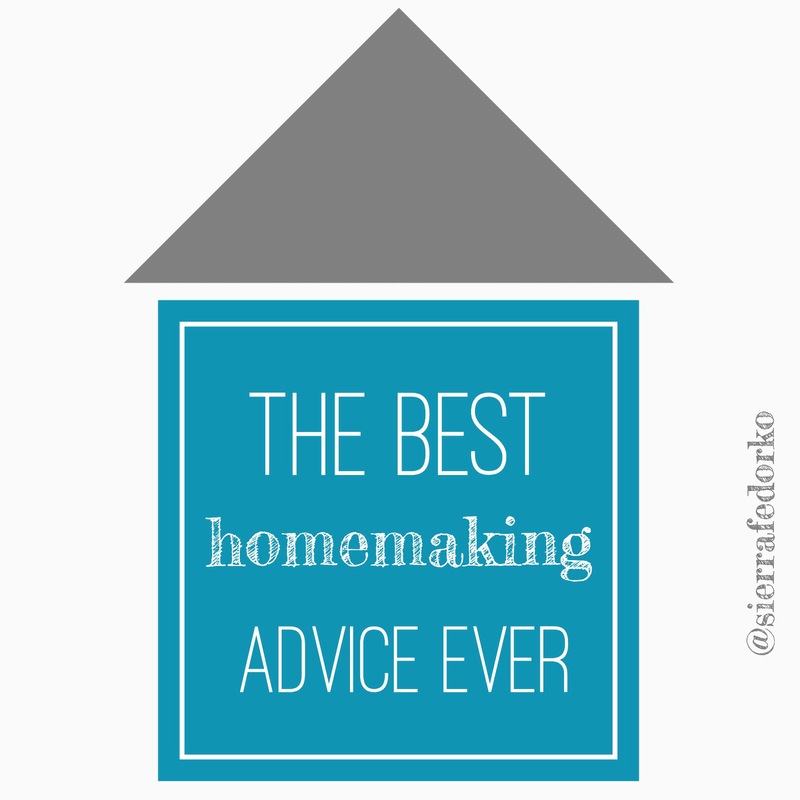 The greatest part of this advice is that it really applies to more than just homemaking. It can literally apply to every part of daily life. What can I do today that will make tomorrow easier? Ask yourself before you leave work, before the weekend comes, before a busy week, etc & so forth. Do things that help you have a better tomorrow. Do things that will help your husband, kids, and friends have a better tomorrow. It doesn’t have to be hard. It’s simple. It takes 5 minutes or less, but it changes big things for the better. Yup, that’s it! It’s the easiest, simplest change ever and it’s the best advice because you can modify this advice to fit your style of homemaking/living as well. If you love having early mornings, do in the morning what will make your evening relaxing and better. See what I mean? It’s totally up to you! Just think ahead, and make small decisions that will make for better tomorrows and happier people.